Whether you’re new to Destiny or a veteran Guardian, this guide will cover any and all things Forsaken and beyond as we follow the Destiny 2 roadmap. Here you’ll find guides and walkthroughs for specific missions, how to find Exotic weapons and how to really boost those Power level numbers. We’ve tried to avoid spoilers for the main campaign for the most part and will be sure to flag any pages that might ruin your immersion. If you’re still unsure if Destiny 2 is the game for you, then check out our Destiny 2: Forsaken review. Here’s how to get your hands on the ridiculously powerful Thorn. You’re going to need to suffer through the Crucible to get it, but here’s our guide to finding The Last Word hand cannon. Th Two-Tailed Fox is particularly useful in PvP, so keep your eye out for it dropping. This rifle has four barrels and its main perk means that it shoots erratic bullets from each gun barrel at the same time. ‘Nuff said. The Lord of Wolves shotgun was a fan favourite in Destiny and it’s no different this time around in Forsaken. This energy weapon shoots Solar shrapnel at your enemies and packs a punch in PvP mode. When fully drawn, you can see targets through walls and inflict damage on multiple enemies with a single shot. This weapon will be available every three weeks as part of The Shattered Throne dungeon. This Exotic hand cannon is closely tied to Gambit and comes with a deadly perk. Here’s how to get your hands on Destiny 1 favourite, the Thunderlord Exotic machine gun. 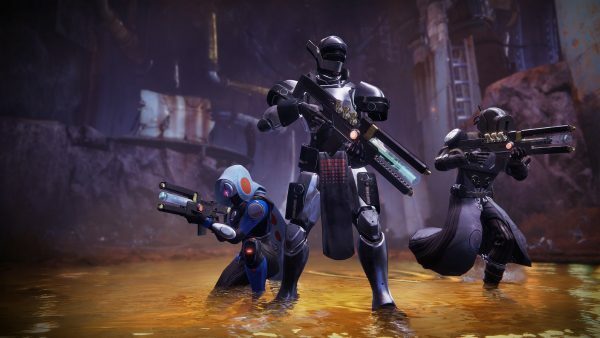 If you’re somewhat new to the franchise, it would be worth checking out this guide to learn about the levelling up systems in Destiny 2 and how to use your time effectively to get maximum gains and pump up those rookie numbers. If you’ve reached the soft cap of 500 and want to boost your Power ahead of the upcoming raid, check this guide out for a structured approach to getting the most out of Destiny 2: Forsaken. You are now able to unlock new Subclass paths and Supers in Forsaken by collecting Seeds of Light, so here’s how to find the first two as well as details about the nine new Supers..
You can now unlock a third Seed of Light by completing a bounty from Petra Venj. A simple explanation of the new four day reset pattern for daily challenges in Forsaken. If you’re in The Dreaming City and like a little something different, then try completing this Triumph with your friends. Unlocking a Heroic event will almost certainly mean better loot, so here’s a look at how to activate it. These quests appear after the main campaign and link with challenges from Petra Venj, so for those looking for a rewarding and unusual challenge should look here. The Tangled Shore is full of strange new foes and this guide will show you how to trigger Heroic events to win the best loot. If you’re looking to boost your Power level, then have a go at this bounty from Spider in the Tangled Shore. Here’s the recommended Power level and how to get started in the Last Wish raid. How to beat the first boss, Kalli the Corrupted, in the Last Wish raid. A guide to beating the second boss, Shuro Chi the Corrupted. A guide to completing the Clan Bounties available in Destiny 2: Forsaken. The weekly Ascendant Challenge can be acquired from Petra Venj in the Dreaming City. Each week she moves to a different location around the map and so far the challenges work in a six-week rotation, so week one and week seven’s challenges are the same, and so on. This is likely to continue for the foreseeable future. This Ascendant Challenge takes place in the Lost Sector of Aphelion’s Rest. You’re heading to Forfeit Shrine for this challenge, and we recommend taking a buddy along to help you. The week 3 challenge requires a bit of precision in platforming, and culminates with a boss fight. Watch out for floating debris in this challenge as you use an ancient relic to defeat your enemies. This is the easiest of all the challenges so far, but it does require you to have Tincture of Queensfoil. Week 6’s challenge is quite lengthy and there’s a tonne of enemies to get past, so we recommend bringing a sniper rifle and a shotgun for this one. All the changes to the Dreaming City since the Last Wish raid was completed. The Dreaming City will change every week in subtle ways, and these are the changes we’ve found so far. 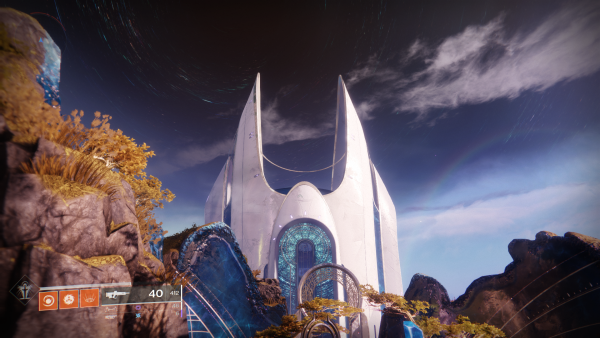 Here are the location of all the cats hidden in the Dreaming City. If you present them with a Small Gift, they’ll give you some Legendary gear in return! Here’s our guide on how to complete Destiny 2: Forsaken’s first dungeon, The Shattered Throne. You’ll need to decide if your loyalties lie with the Vanguard or The Drifter for this new story mission. Here’s how to boost your Power level to 640 in no time. 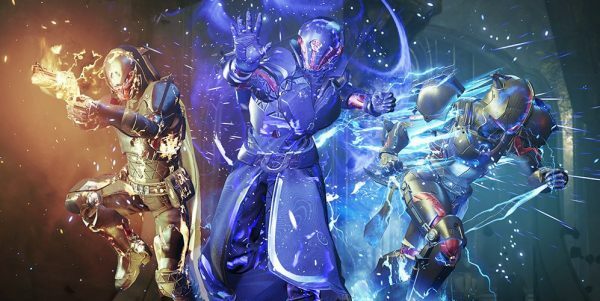 Gambit Prime and The Reckoning are the new modes added with Season of the Drifter, so here’s how to win and get yourself some new armour. There are six new Pinnacle weapons coming to Destiny 2 and a few new Exotics to boot, including Thorn. There’s are new Exotic gauntlets for each class with Season of the Drifter, offering new bonuses and buffs for players. Black Armory is now available, so here’s our guide on how to reignite the Forges, what Exotic and Pinnacle weapons you can expect to see and more. Here’s what you can expect from Season 6 in Destiny 2.